Kenneth MacMillan, one of the leading choreographers of the twentieth century, is credited with pushing the boundaries of classical ballet and challenging audiences to look beyond the idealised world of fairy tales into the reality and discomfort of their own mortal existence. With ballets that probed into all extremes of the human condition MacMillan found a deeper way to engage the viewer, to make us empathise with the emotions flowing from his expressive choreography. As part of his 80th anniversary celebrations The Institute of Psychoanalysis and the Royal Academy of Dance are sponsoring a full day symposium which will explore the relationships between physical expression and emotional impact in the choreographer’s work. 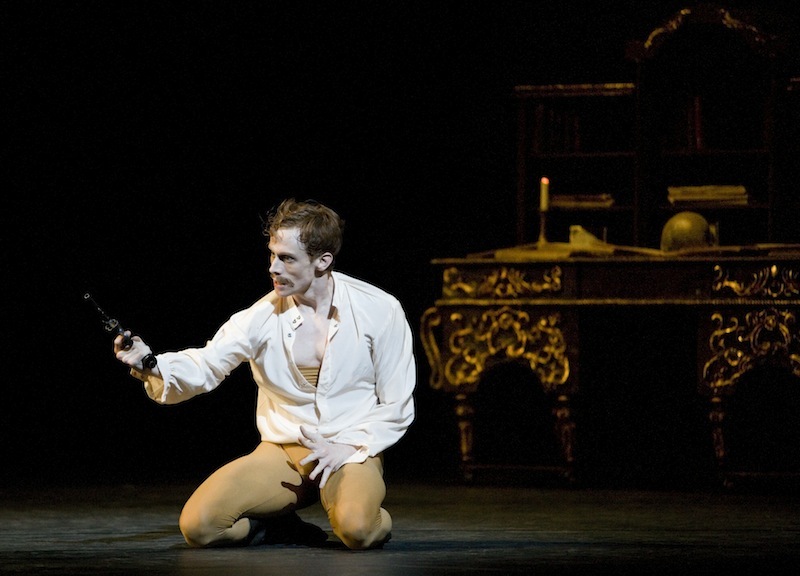 Let’s start with your recent performances as Crown Prince Rudolf in Mayerling. How much physical and emotional commitment does the “toughest of male roles” require and how do you resurface from each performance? EW: It’s really intense and every show is different, but I never sleep after Mayerling, I am still awake at four in the morning. It’s completely draining, you feel drained after Act II. Actually after Act I you feel like you’ve done three acts already so… it is funny to get yourself ready for it. You don’t want to give yourself out too much at the beginning, otherwise you are not going to have enough energy to the end. In the first act I am always trying to pace myself and, knowing how you are going to feel at the end, you think: why would I do this to myself? But it is an amazing thing to do. I’ve never had any kind of experience like that where you feel you almost lived as someone else for a couple of hours. It’s incredible, a great ballet, it is just amazing. In addition to Crown Prince Rudolf, Des Grieux and Romeo are all MacMillan classics you have danced a number of times in different places. How have your interpretations of these roles evolved over time? EW: The biggest change has been with Romeo, because I’ve done it a lot now. Not that I think I wasn’t ready when I first danced it, but Lauren [Cuthbertson] and I weren’t ideally matched and we both knew that, so we relied on our youth to tell the story that way. This is something I have tried to keep. Romeo is a boy and Juliet a girl, they are kids, they are not a prince and a princess. Some people play it like a 20th century classic rather than being clumsy kids which is what they are in a way. The choreography for Romeo is particularly demanding. That I feel I am still trying to get right, to show the youth and abandonment while technically being tight and secure. I’ve now danced Romeo with Lauren, with Mara [Galeazzi] and with Leanne [Benjamin] so you find so many different things with whomever you are responding to or whoever is in front of you. MacMillan’s characters are typically complex and they demand strong dramatic skills. How important is it to have a like-minded partner? Do you discuss a mutual approach beforehand or is it mainly an act and react dynamic? EW: Both of those things. Some moments you find something has developed without talking. You are playing something in a certain way, your partner too and it works. When it doesn’t work we tend to discuss. You say, I don’t know what you are doing, what you are thinking or what are you trying to say through the way that you do that step, or is there anything I can help you with, for instance, in the way I lift you. The way into MacMillan is definitely through the steps. It’s not through putting on a face and acting. All is there to be discovered in the choreography. There is so much to be brought out that I don’t think you’ll ever stop finding things in movement. The amazing thing about being a dancer in those ballets is that you will always find something that you haven’t found before. You can connect those steps somehow to your character, to your situation with another character, tiny things like the way you phrase, the way you might stretch something, a look. It is all very physical and thought makes the physical thing happen or sometimes the other way around. It’s a total symbiosis. That was the genius of MacMillan and of the people he worked with when he made these ballets into huge successes: all those elements were exactly right. So every time one approaches the choreography, there must be new things to be discovered? EW: Physically everybody is different. 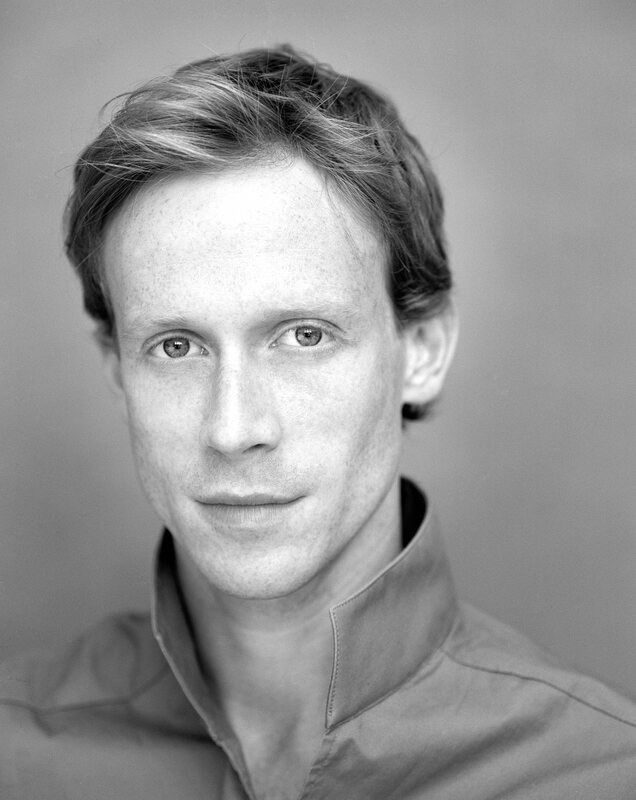 I look very different to, say, David Wall [who created the role of Crown Prince Rudolf] or Irek Mukhamedov. So just as they approach steps musically different or physically different, so will I. In classical ballets like Swan Lake or Sleeping Beauty, there are set rules, very obvious rules of what looks right and what doesn’t, but when the choreography really describes character and character situation, there is so much an individual can find to say with a character. It is a dancer’s dream. Of course there are rules, there is set choreography to set music but you can find your way of saying certain things within those rules. Are there any experiences or specific preparations that have enriched your interpretation of a particular role? EW: I do a lot of reading. With Romeo I went straight back to the play. Kenneth worked really close to Shakespeare’s play and I know Lynn Seymour [who created the role of Juliet] did. There were a few masterclasses that Tamara [Rojo] and I did with Lynn where she read the text to us and described what he was trying to say at that point. I also read Manon, but it was a ballet I grew up with, watching it as a kid and dancing various parts always. The most research I did was with Mayerling because Crown Prince Rudolf was a real person and so you have a responsibility to be very honest. I read a lot of books on the subject. Deborah [MacMillan] lent me a book which Kenneth gave her for her birthday which he based the ballet on. She lent me her copy so I could find things that he had underlined in there, things that were really important to him. I also had a weekend in Vienna, I went to visit Mayerling and saw the grave. It fascinated me, this ballet has always fascinated me since I was a kid, from having seen the South Bank documentary originally with Lynn Seymour and David Wall. It is one of those ballets that grow on you. The more you see it, the more you want to see it again. Being in Mayerling had an impact on me because it doesn’t come around that often. It wasn’t in the company for about 8 years while I was here. Did you do any new readings or research this time? EW: I re-read The Road to Mayerling and when I visited the Mayerling lodge, which is now a convent, I found these weird photocopies outlining the events with dates and times, so I read through that, but I had already done so much before that I knew what I wanted to do, what I wanted to change. I wanted the character to build up more this time. MacMillan revolutionised storytelling in classical ballet, taking it out of its comfort zone, digging deep into human psyche. How relevant are narrative ballets nowadays? EW: I think people want story-based ballets. It is easier for an audience to want to come to a ballet with a story. Triple bills are harder because of the lack of a linear narrative for a whole evening. Alice in Wonderland is going to be Chris Wheeldon’s next thing [for the Royal Ballet] and I think it is the right time and I hope it is a success. Having said that, MacMillan’s one-act ballets are what made me, what I grew up in. My first principal role was in My Brother, My Sisters. Those ballets say much about people, feelings and situations, and even Gloria, and Triad, ballets I did when I was younger, there’s so much in them that is not about set characters like Des Grieux, Rudolf and Romeo, but they are still such an amazing experience. EW: Did I? I love that ballet, I really love it. Which is your favorite one-act MacMillan now? EW: It changes all the time, I have nice memories of all sorts of things but Different Drummer really changed a lot for me. Physically, it really felt like it fitted. I had to work very hard but I understood its physicality, I understood where he was going with it, and in a funny way, it’s the same kind of intense experience as Mayerling, only shorter, but also totally exhausting. It was a wonderful working time for me, Leanne and I were working together a lot and she had worked with Kenneth on the ballet, so she could help me a lot. And Monica Parker who coached us was really enthusiastic as it hadn’t been done for a long time, for about 15 years. It was a ballet people hadn’t seen, that a whole company hadn’t been involved with, so it was really exciting to have the responsibility of bringing it back and making people want to see it. That whole experience probably makes it my favorite one-act. 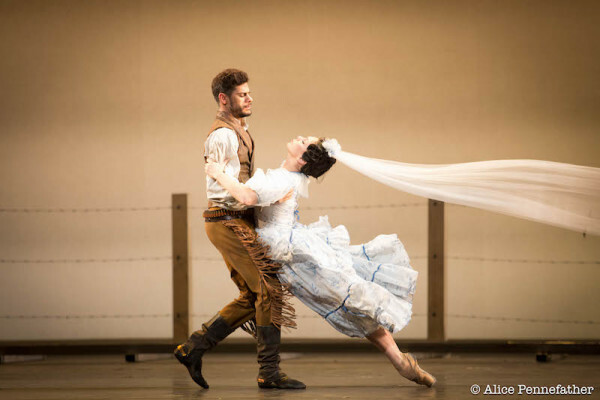 EW: Manon and Mayerling are both wonderful. Manon is a ballet that I had always wanted to do since I was a kid, since I was at White Lodge and it ended up being the last big MacMillan role that I debuted in. I love it and Mara is fantastic and I wouldn’t be anything in that ballet without her, it’s really about what she gives me. But more recently, and for the same reasons as above, I should say Mayerling, it is still kind of…it is still lingering on my back! About the upcoming MacMillan symposium this November, can you give us any insights into what participants may expect? EW: There will be discussions from psychologists and also from dancers and collaborators who were involved with Kenneth on creating those ballets and, demonstrations from people like me, doing bits of Mayerling. There’s also going to be archive footage, so people can see and discuss the ballets. It will be very interactive, people will be able to ask questions rather than just being presented to. I have a feeling it’s going to be a very interesting day, a real eye opener into what MacMillan is all about. In your opinion, what is MacMillan’s greatest legacy to ballet? EW: In my opinion, all of that work. Even those works that are considered failures or that aren’t danced so much these days. It’s so important that someone was constantly pushing classical ballet. It’s classical ballet pushed beyond what you would expect it to, either to tell a story or, like Song of the Earth, telling you everything about life, death and everything in between. No costumes, amazing music, choreography that moves you and you understand somehow through those amazing poems and Mahler’s music that someone can express those feelings to an audience. 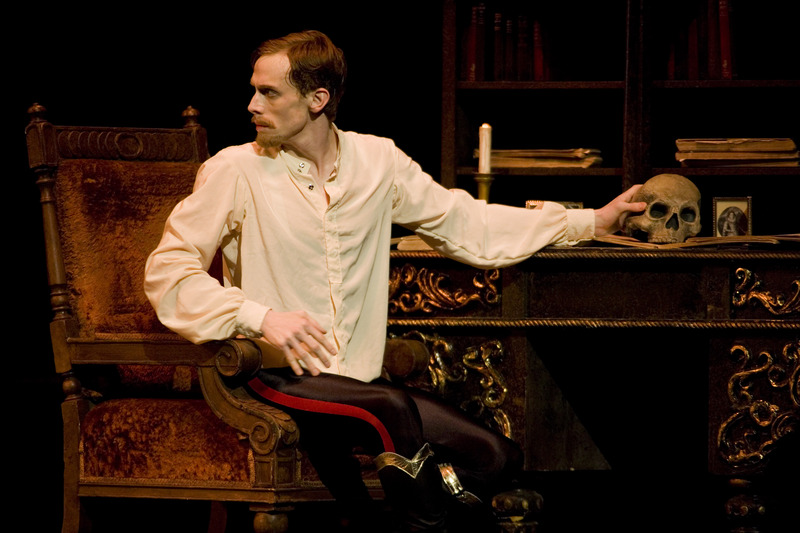 And that the very same person can tell the most complicated story, like Mayerling, through dance. I find it total genius that someone can do that. No stop and mime, all of those feelings are expressed through choreography. Song of the Earth is my favourite ballet of all time to watch and the last few times I did it, I loved it. It’s so strange because you are very removed from everyone else. There’s more impact to be made [as the Messenger of Death] by being subtle and just gently there. The poems that inspired Mahler’s songs say “death is like a whisper” and that changed the way I did the role, it’s like a little whisper that’s always there or a feeling, slightly dimmer and you wonder why. It’s little things like that, that you can read and find out. When he was making the ballets MacMillan didn’t always tell people exactly what he wanted them to feel, but it was obviously in his mind, his influences from what he read, from what he heard, all this concerned him. How transparent then, that even when he did not say it, he could actually find a way to. EW: Well, that’s the kind of genius he was. Kenneth MacMillan’s Choreographic Imagination and Psychological Insight Symposium takes place on Sunday, November 8, 2009 from 10am to 8pm at Imperial College London. This all day event will include a series of set pieces – videos, masterclasses, presentations – interspersed with opportunities for interactive discussion among the participants on stage and members of the audience. The event will close with a screening of the complete ballet “The Judas Tree” followed by a social gathering where the audience will have the opportunity to meet and talk with the participants.